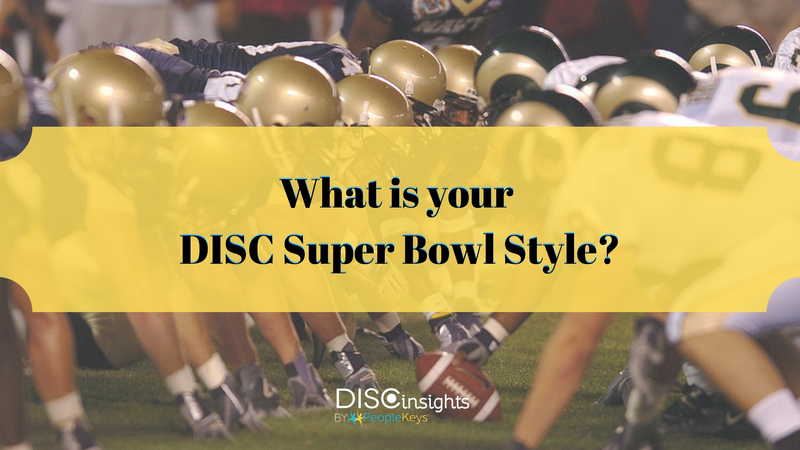 What is your DISC Super Bowl Style? The Big Game is just around the corner! This Sunday afternoon a large part of all Americans, and of course other parts of the world, will be excited for the Super Bowl. This is not just an ordinary game for many, but considered to be the “Game of Games” that comes along with expectation, frenzy, determination and a ton of forecasts. Different people will react in a variety of ways to this once-a-year event. If you have friends whose behavior during The Big Game amazes you, then you should know their reactions are deeply encoded into their personality traits. There are many personality theories, but the most accurate of all – DISC by Dr. William Marston, distinguishes four main personality styles. Very rarely someone will have prevailing only one primary personality trait, as we are all built by a blended combination of several main personality characteristics. If you’re curious what the exact blend you incorporate is, take your DISC Assessment here. It will take you only 7 minutes, and you can even do this during a commercial break. There will always be that one person in the group who will jump in front of the screen, wave his hands, yell at the referees and to try to tell them what to do, pace around nervously, and act like he is about to jump on the field to kick the ball himself! Don’t be surprised – this is the “D” Personality Style. He may want to take charge and be in control. He may feel a little anxious during the Big Game, as it’s out of his hands, and he will have to suffer through the entire 4 hours to discover whether his team will win. If things, however, are not going well for his favorite, try to leave him alone until he restores his composure as a “D” style really can’t stand a loss. If your friend or family member acts like a “chatterbox,” this is definitely a sign of an “I” Personality Style. He certainly likes to be the center of attention and is charming enough to get everyone’s eyes on him. With this sparkling personality around you, keep in mind you may happen to miss some of the tense moments of the game as he simply will not stop talking. He might even just turn the TV sound off so he doesn’t have to yell to compete with the game sounds. He will use the commercial breaks to go online and share his impressions and feelings over the game. He will also make sure to post photos of everyone around him during the game gathering to let the world know how amazing his friends and family are. A variety of delicious snacks to keep the energy level high and a cozy atmosphere to keep the mood happy is also part of the Super Bowl afternoon. In your group of friends or family members, there always will be at least one who will embrace this aspect of the game fun. These people are usually the invisible driving force of any family event as they simply love to take care of others and see their happy and content faces. This is person is the “S” Personality Style, and you may have more than one representative of this behavior as 69% of all people have this personality style in their style blend. They will not fight for control with each other, but instead work together as a team to create an enjoyable environment for everyone during the game. So consider yourself lucky if you’re surrounded by these caring people. Do not forget to thank them for their efforts and never, ever make last second changes without letting them know. If during the Super Bowl you become a little confused as to why the referee made a particular decision or wonder what the score is, turn to the one friend we all have – the “Know-It-All.” You can’t stump this person with any question as he is like a walking encyclopedia and knows all stats, not only for the ongoing game, but for all other 52 super big games in the past. This is the “C” Personality Style, and you can always count on him to be able to explain all the rules, exceptions and stories around each of the teams, players and even the history of this exciting game. And that isn’t all – he will have already calculated all rates and chances for both sides. You can also bet he already knows who will win! Now, you can use your newly acquired knowledge of human behavior with your friends and family during the Super Bowl game. Can you try to guess the DISC personality styles of your favorite players? Tell us in the comments below! Petya is most likely to be found chatting to and helping customers out online or over the phone. 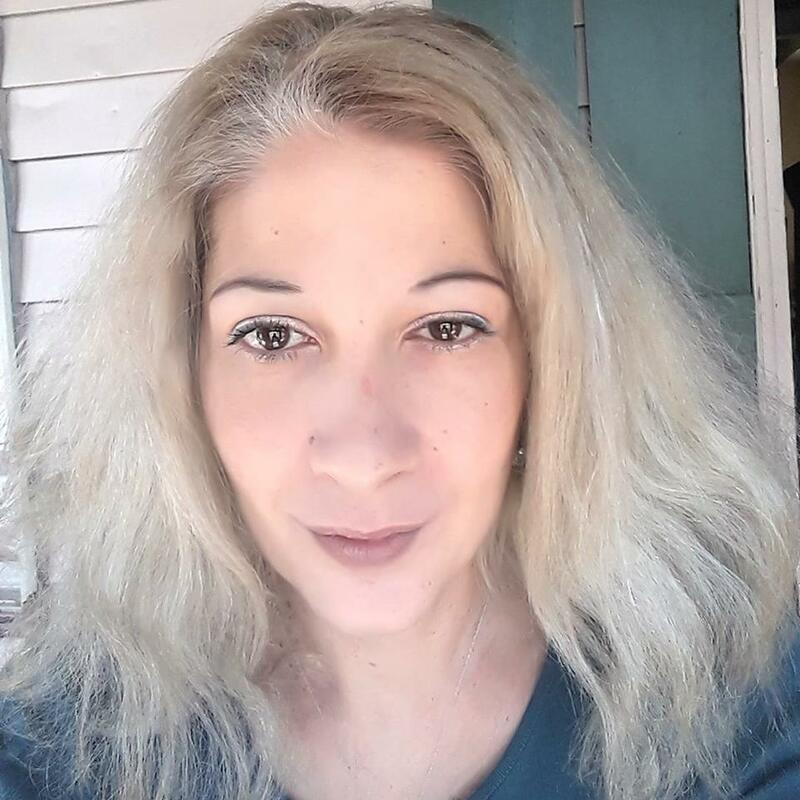 She is also the PeopleKeys social media manager, sharing motivations from around the world and ensuring you're inspired to discover the Power of DISC every day. Workplace Personality Style: DC.